Lines are open 8am to 8pm, Monday to Friday, 9am to 5pm Saturday and Sunday. We may record or monitor our calls. When you know the time has come for you or someone close to you to find the loving support of a care home, taking the very first step can be a daunting decision. Or it may be that your loved one is not at that stage yet but you are finding it increasingly difficult to care for them at home and are looking for advice. Whatever your situation, you do not have to be alone. Pick up the phone and ring Kingsley’s Elderly Care Support Line for a friendly chat. You can be sure of a sympathetic ear and we will be able to guide you through the steps to finding the support you need, whether that is a care home that meets your requirements or perhaps help in the community from such organisations as dementia cafes. There is a Kingsley home for you whatever your needs may be. We have nursing and residential homes and are national leaders in dementia care with our own dementia care programme called WINGS our homes also offer day care facilities. We will be able to reassure you that moving into a Kingsley home is not The End – but an exciting new chapter in your life. Whatever your hobbies and interests, whether they are gardening, knitting, sewing or art, you will be able carry on with them just the same – and you will have the support of our energetic activities coordinators who have won national awards. Our creative chefs are always coming up with new recipe ideas to tempt your taste buds and our groundsmen ensure our gardens are fitting for a company that sponsors Anglia in Bloom. Most importantly, wherever you go in a Kingsley home you will find smiles and laughter. We know it is a big step choosing a care home and we will be able to arrange a visit for you and your family whenever you wish. Come and have lunch with us or arrange a trial stay. Please email your details to procurement@kingsleyhealthcare.co.uk We will be in touch with you soon. Feel free to contact us using the form below with your questions,concerns, or to inquire about our homes and services. At Kingsley Healthcare, we believe that our greatest resource is our people. In order to continue delivering our consistently high standards of care, we are always looking for talented, motivated individuals with a genuine interest in the welfare of older people. Kingsley Healthcare offer very competitive pay rates, ongoing training & development and much more. Visit our careers page for all the latest vacancies. 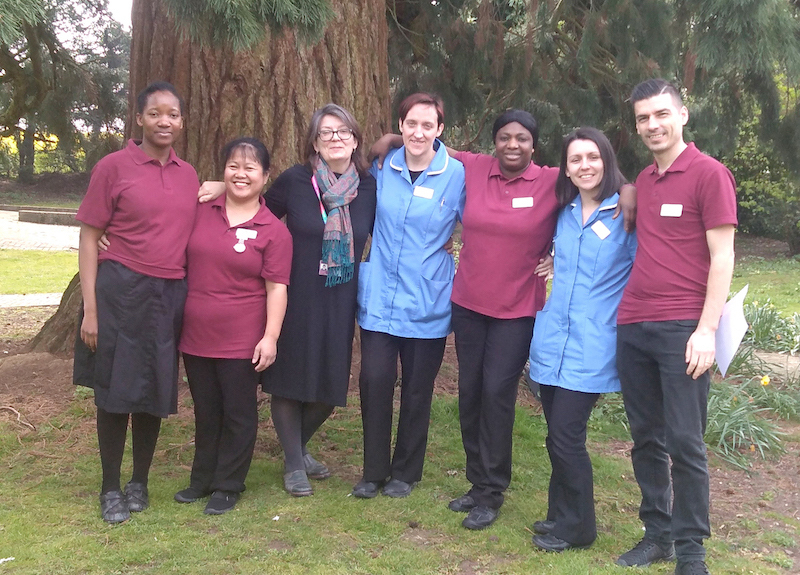 Apply for any position which matches your skills and aspirations and start building an extremely rewarding career in Care. Kingsley Healthcare currently have a PSL for our permanent vacancies. Only agencies on our PSL can supply us with CVs requested by our in-house recruitment team. Therefore, we cannot accept any speculative CVs from agencies not on our PSL. Any unsought CVs will not be registered as an introduction. Should you wish to work with us on our temporary and/or permanent vacancies, please do not contact the homes directly but enquire with our Recruitment Manager - Leanne Chesney, at our Head Office via email leanne.chesney@kingsleyhealthcare.co.uk. Please note, this does not form any kind of pre-qualification status for our PSL.